Education possesses the power to change a life. It enhances our knowledge of the world around us, while empowering us to make that world a better place. Businesses such as Vernon Teach & Learn play a vital supporting role in this process. The business was founded in 1990 by Mavis Jackson and her daughter, Lynella Henke. Back then, Mavis was working as a teacher and found herself frustrated at the lack of stores dedicated to selling resources for the classroom. 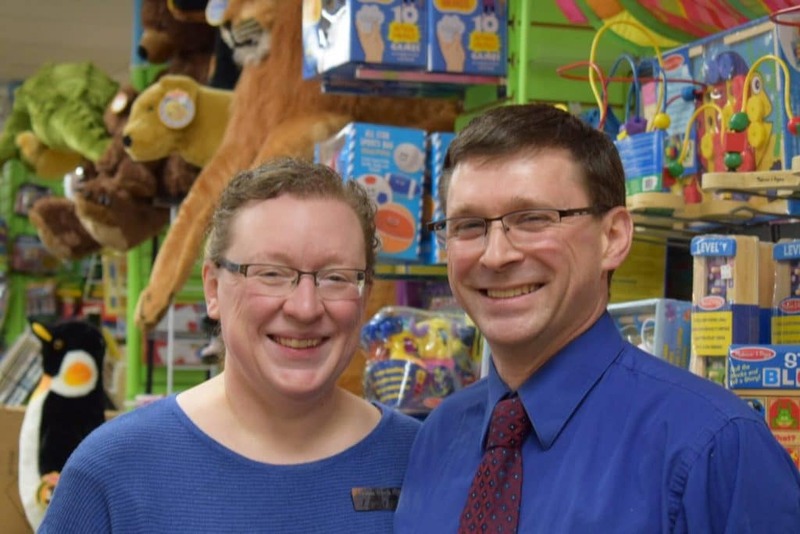 The duo founded Vernon Teach & Learn to fill this gap, providing valuable classroom aids and educational toys to clients across the Okanagan. Almost 30 years later, the business continues to go from strength to strength, broadening their product range and delivering the helpful customer service they’ve always been known for. “My mother founded the business due to her own frustrations. She was prevented from doing her job by a lack of resources and felt she could do better,” Lynella said. “My husband and I purchased the business from my parents 15 years ago and we’ve continued to listen to our customers for ideas on products and services they’d like to see us offer. Lynella and Trevor’s business has become a Vernon staple from its position at 3015 – 30th Ave. Customer service is top priority for this dynamic duo, with a real sense of community developing around their Facebook profile. In an era of digital metrics and online campaigns, it shows the value of good old-fashioned community building for a business. “Trevor and I strongly believe in running our business with 100% honesty,” explained Lynella. “The biggest thing to remember about the life of an entrepreneur is that it’s not 9-5, Monday to Friday. You can book a day off whenever you want, sure. But if someone on your team is sick you have to drop everything and pick up the slack.